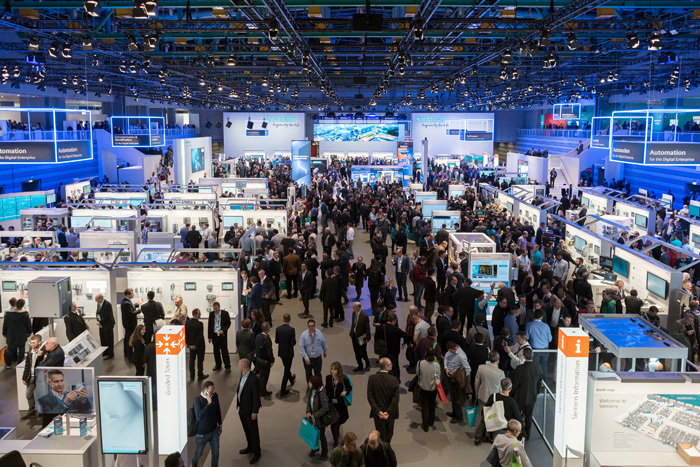 The 29th SPS IPC Drives event is over. 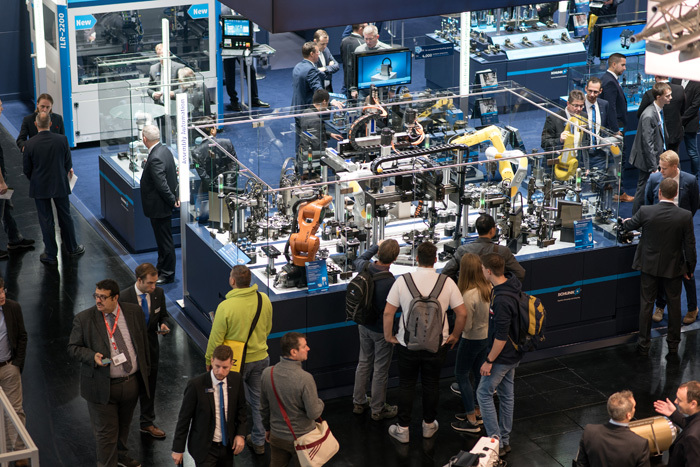 A total of 65 700 visitors flocked to Nuremberg at the end of the year to find out about the automation industry’s latest products and solutions. CAN in Automation (CiA) demonstrated in hall 5 (stand 410) the first CANopen FD devices. This included a host controller by ESD as well as I/O modules by Microcontrol and Emsa. Microcontrol exhibited also a CANopen FD host controller on its booth. Trinamic showed its Risc processor with an integrated CAN FD core, which will support CANopen FD soon. There are three companies providing CANopen FD protocol stacks: Emsa, Emtas, and Microcontrol. HMS offers the Emtas protocol stack, too. Many of the about 1630 exhibitors presented their Classic CANopen products. Although CANopen is a 25-years old communication technology, several companies introduced new products featuring CANopen connectivity. Most of the motion controller suppliers support the CiA 402 motion control and drives profile. JWL (Denmark) exhibited its MIS171 integrated stepper motor with CANopen connectivity. The Nema 17 (42 mm x 42 mm) drive was introduced beginning of this year. Another new CANopen drive is the IBD integrated brushless motor and drive by CMZ (Italy). The 60-mm drive supports CiA 402 and provides 1,3 Nm continuously. The Italian company also presented the SISD integrated step-less drive and motor with CANopen interface. It comes in an IP65-rated enclosure and features the CiA 402 interpolated mode, positioning, extended gearing function, homing, and capture modes. CMZ also introduced the FCT640 host controller based on a 64-bit Risc dual-core processor. The modular controller implements CANopen Manager functionality and can be equipped with up to 64 local I/O modules. The product runs Codesys software and comes with 1-GiB flash memory and 512-MiB DRAM. Scandon (Denmark) exhibited its product line of absolute encoders with CANopen interfaces. This series includes shaft and hollow shaft variants. Some of them are Atex-approved. They are also available with Devicenet interfaces. The SPS IPC Drives changes its name: The new name is Smart Production Solutions (SPS). This complies with a general trend in factory automation to turnkey solutions. Integrating systems on the device-level is becoming increasingly history. All the big players in factory automation offer system solutions. 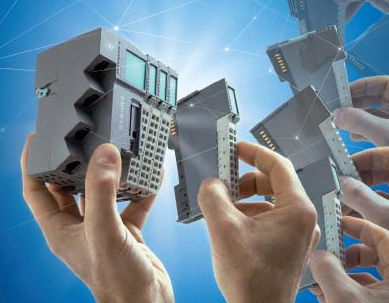 In machine automation, still highly optimized control systems based on selected products from different suppliers are needed – in particular for high-volume machines. They often use an embedded network such as CANopen and in the future CANopen FD. Nevertheless also in machine automation, turnkey solutions become increasingly attractive, in order to reduce development effort and to shorten the time-to-market. This does not mean that CANopen technology is not needed anymore, but CANopen becomes less visible, it falls one step down. This means, the number of nodes will increase. CANopen substitutes proprietary serial links including EIA 232 and EIA 485.